Hate crime charges have been filed against a man who screamed racist taunts at a woman wearing a Puerto Rico shirt. NBC 5's Mary Ann Ahern reports. 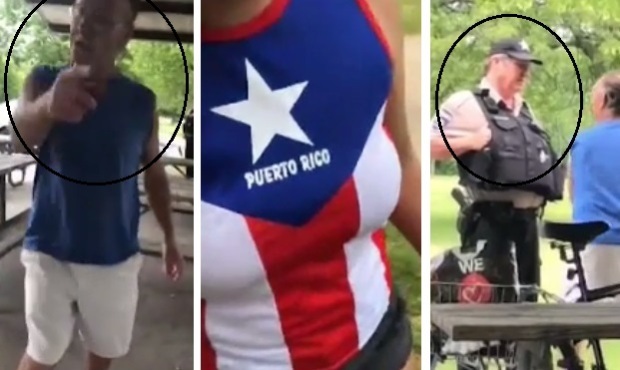 The Cook County Forest Preserve officer seen standing by while a man berates a woman in a viral video for wearing a Puerto Rico shirt has resigned, officials said Wednesday evening. Sandra Torres reports. A Cook County Forest Preserve officer in the middle of a viral video has resigned. Footage shows the officer ignoring a woman asking for protection from a man who harassing her for wearing a shirt with the Puerto Rican flag on it. 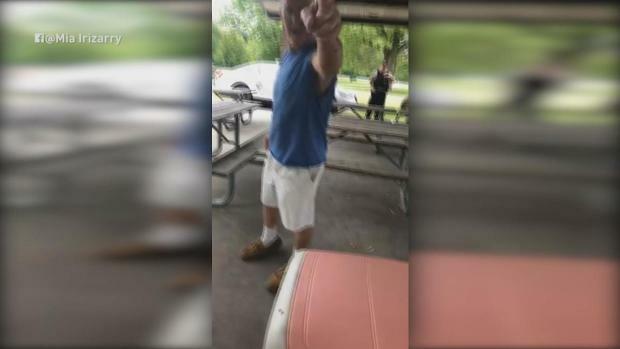 A Cook County Forest Preserve police officer is under investigation after video appeared to show him ignoring a woman’s pleas for help as a man berated her for wearing a Puerto Rico shirt last month during a birthday party at an area park, according to the Forest Preserves. The man seen in viral video of the encounter has been charged with assault, authorities said. Regina Waldroup reports.